Explore some of the most spectacular scenery in the world as you travel deep into Nepalâ€™s mountainous countryside. There is an opportunity to create a truly memorable holiday memory with a flight to take in some incomparable views of Mount Everest. Day 3: Kathmandu - Nagarkote via Bhaktapur. Travel along winding roads to arrive at the tiny settlement of Nagarkote, situated at an altitude of 2,099m. 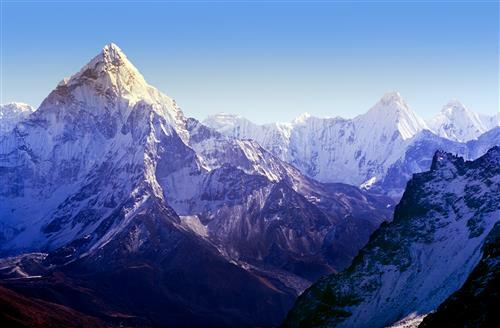 It is known for its scenic views of the mountain ranges including Mount Everest. 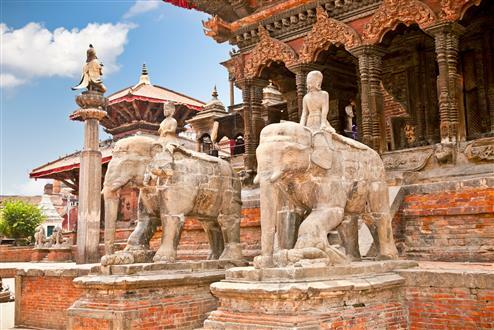 En route visit Bhaktapur, home to medieval art and architecture. The past glories of the Malla rulers continue to be reflected at the Durbar Square. Overnight at Nagarkote. Day 4: Nagarkote - Pokhara After breakfast drive to Pokhara for a two night stay. Drive along the scenic mountainous highway, visiting the Pokhara valley. Forming the backdrop are the spectacular Annapurnas massif and the magnificent fishtailed Machhapuchhre dominating the scenery. Adding to Pokharaâ€™s enchantments are the three serene lakes of Phewa, Begnas, and Rupa, the World Peace stupa atop a hill, the deep Seti gorge, the Green canyon and Devinâ€™s fall. Enjoy a relaxing afternoon with incomparable mountain views. Day 5: Pokhara. Morning at leisure. During the afternoon depart on a sightseeing tour of Pokhara city and Phewa lakeside bazaar. Day 6: Pokhara - Kathmandu. Drive back to Kathmandu retracing the same highway. During the afternoon visit the Stupa of Bodhanath. 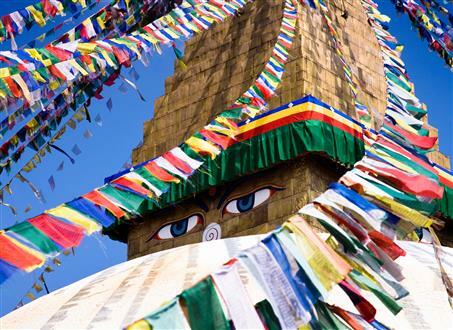 The colossal Stupa is ringed by 108 images of Buddha and 147 insets containing prayer wheels. Then onwards to the famous temple of Pashupatinath. Day 7: Depart Kathmandu. Transfer to Kathmandu airport and depart on your onward flight. This hour-long flight gives the best opportunity to get closer and the best view of Mount Everest (weather permitting, 8,850m) and other mountains such as Shisa Pangma, Melungste, Gauri Shankar, Cho Oyu, Pumori, Nuptse, Lhotse & Ama Dablam. The flight operates from Kathmandu airport every morning and flies at an average altitude of 6,500 to 7,000m. Day 6: Pokhara to Chitwan National Park. Morning, drive to the Royal Chitwan National Park boundary where you will be met and driven to your jungle lodge. In the afternoon enjoy an elephant ride viewing the game. Day 7: Chitwan National Park. Full day of jungle activities today. Try canoeing, enjoy a nature walk or embark on a safari. Day 8: Drive to Kathmandu. Our services end upon arrival in Kathamandu.